During the Thanksgiving holiday, I enjoyed photographing a lot of birds. I knew I would not find any turkeys being that I was on the coast but enjoyed seeing tons of birds. 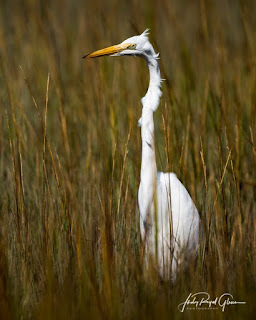 This great egret came very close to me as he hunted for fish in the tall marsh. I love when the Lord answers my prayers to show me or bring to me what He wants me to photograph. These majestic birds have to be motionless for a long time as they sneak up on their prey—kind of reminds me of myself as I am sneaking up on them! Thanksgiving was last week, and I have so many things to be thankful for. I have a wonderful family, a roof over my head, food to eat and abundant blessings. 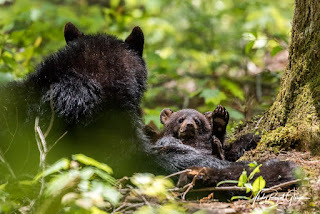 Cades Cove and the Great Smoky Mountains National Park have afforded me the blessing to be able to photograph these amazing creatures. I love everything about them, but I especially love the interaction of the momma bear with her cubs. Some may say they don’t have emotions and that may be true, but when you get the chance to look at her gaze at her cub's nose to nose, it’s magical! 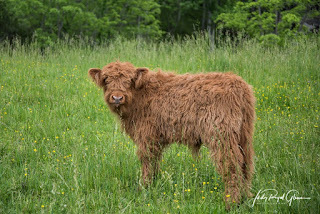 Bobby, a Scottish Highland calf wanted me to tell you there weren’t any turkeys in his field but he would keep looking! 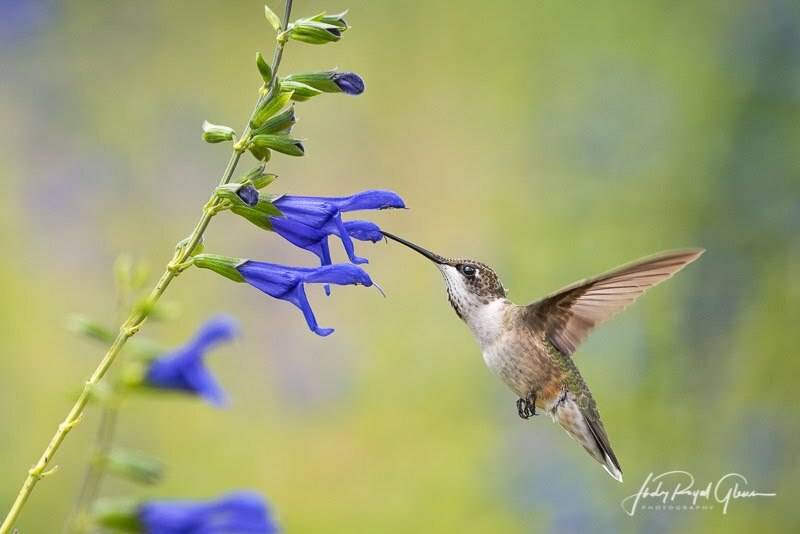 I researched and designed the Hummingbird Trail at the State Botanical Garden of Georgia and have been following these little guys around for many years. One thing I have noticed, no matter where I am, the hummers love the purple salvia! I tell people if they only planted one thing, plant purple salvia. I will be planting several for next year! A few members of the Athens Photography Guild (APG) headed to Tallulah Gorge State Park for a photo shoot recently. The day we went was one of several water release dates set by the park. I had the privilege of going in 2013 for the first time for this neat event. Why is it neat? Normally, there are 35-40 CFS (cubic feet per second) flowing through the gorge. The day we went there were 500 CFS! 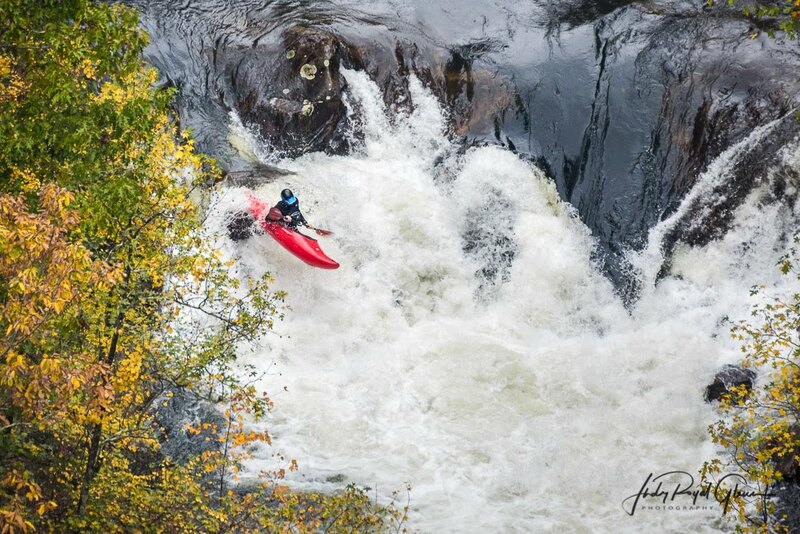 This is a huge date for kayakers to enjoy the water and test their skills. What an awesome experience to be able to photograph world-class kayakers going over fast moving rapids including a class five rapid. The last release dates for this year are November 18 & 19! Get outside! 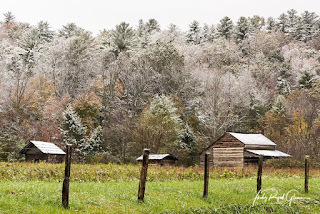 I’m normally not a last minute planner, I and don’t like to fly by the seat of my pants, but late Saturday afternoon a week ago, I started looking into my next trip to Cades Cove in the Great Smoky Mountains National Park. I had everything pretty much planned out then I saw a 40% chance of snow for the next day. Around suppertime on Saturday, I sat down with my husband to make a final decision. As we talked, I was reluctant to leave Sunday morning because the chance of snow was for only four hours. I was thinking maybe I shouldn’t go, but he encouraged me to. From the time I finished my plans until the time I got in my car to go, 12 hours had expired. I left at 3:45 a.m. and headed north. 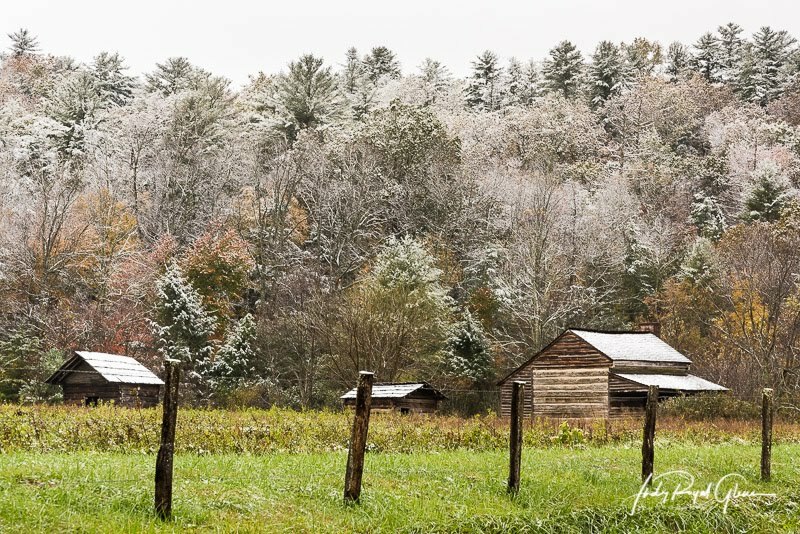 As I got closer to Cades Cove, it started to snow. It snowed on and off until I arrived. As I drove farther and farther down Laurel Creek Road, I started to see snow in the treetops. It was a winter wonderland, and I was as giddy as a schoolgirl. I guess there may have been 1½ inches of snow. At times, it snowed hard and visitors were using umbrellas to shelter themselves. My heart was divided because I wanted to photograph a bear in the snow, but I also saw the beauty of the snow against the fall colors. I photographed way more landscapes than I normally do. I was disappointed that I did not see a bear that day. I can only imagine what the cubs were thinking of the snow. They were probably all hunkered down staying warm!